This is my haiku to share with you while I am away. I will be taking a break from blogging, and have set up some re-posts some of my favorite inspirations. See you after May 10th. So delighted for you! You will have a wonderful time. What a privilege that must be for you Val. Go well and enjoy. lol I meant ❤ not <4 ! 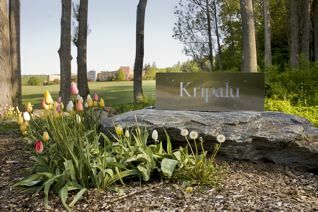 Kripalu in spring – lovely! (I live only an hour from there.) Have a wonderful time, Val! Have a wonderful time, Val! On another note …. “It Is What It Is” has been nominated for an award. We would like to pay it forward. Please, know that you don’t have to accept. Know that your work is valued and admired!! Anytime, dearest friend …. you do a great job! Hugs ….